This is a tutorial web book. All 152 pages of the large paperback book with 96 diagrams are on 38 web pages here. Even if you know nothing about electronics, you have come to the right place. If you are wondering how microprocessors work, you have come to the right place. A microprocessor is a small processor. If you already know something about electronics, don’t be put off by the fact that the book starts out very simple and uses relays instead of transistors. You will get through the first chapter quickly. See web page 24, below, for just how complex it gets. If you have a very fast connection (DSL or cable modem), then you can click the following link to see an easier to read (PDF) version of the book. It is 783 kilobytes, so it will take a while. When i read it I was amazed by the things that all this metal in my case can do ! Wow this is truly a good book for beginners! I will have to send this to my friends who are not so computer literate. 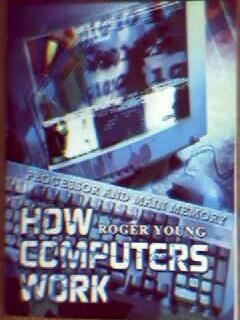 Thanks to Darknet and the author of this book!